Advocates and families testified all day in front of House Human Services members as legislators buckled down to look at key bills that would overhaul how the state takes care of endangered children. Mercedes Bristol threw up some prayers Sunday night as thunderstorms went through San Antonio. 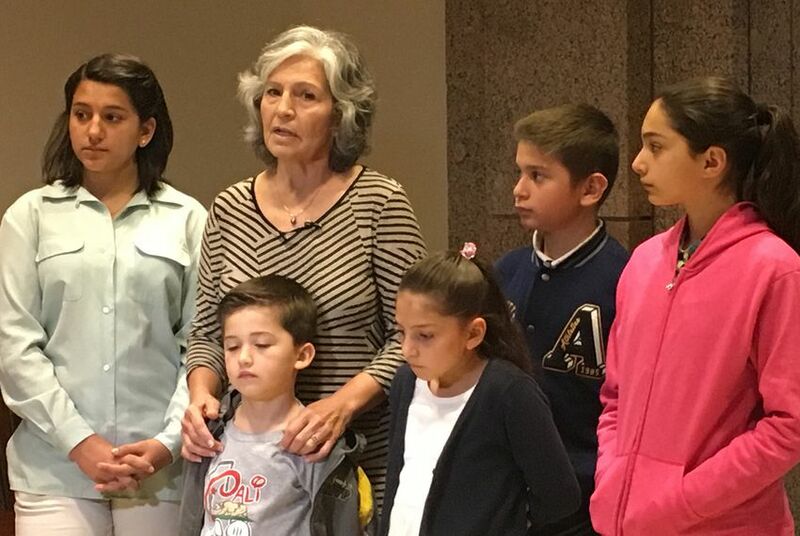 She worried that she and her five grandchildren would be unable to make it to Austin to testify at the House Human Services Committee hearing on Monday morning. She wanted to tell legislators why they need to pass House Bill 4, which would provide payments for grandparents and other relatives who take care of abused and neglected children in their families, a practice known as kinship care. With the weather clear on Monday morning, she drove up to the Capitol. Advocates and families testified all day in front of House Human Services members on HB 4, as well as bills that would make the Texas Department of Family and Protective Services a standalone agency and would move the state toward working with more community groups to help foster care families. The hearing comes as legislators feel the pressure to overhaul how the state takes care of endangered children. Bristol told members that part of the problem is the state does not keep good track of how many relatives take in children without going through Child Protective Services or the Texas Department of Family and Protective Services, so those relatives miss out on access to financial help. The Texas Tribune profiled Bristol, 62, in October as one of many in Texas who take care of their grandkids after they’ve been neglected, abused or simply dropped off at their homes. While they take in their grandchildren out of love, starting over with raising children can be emotionally and financially taxing — and comes with minimal support from the state. Bristol and a group of grandparents in San Antonio have been meeting with lawmakers for months to talk about increasing kinship care payments. At the hearing, Texas Department of Family and Protective Services Commissioner Hank Whitman said the agency is doing better thanks to the Legislature’s funding but that there was more work to be done. That includes more training for new staff and decreasing caseloads so caseworkers could spend more time with families in crisis. He said workers are “responding positively to our investment in them." "We are never going to be perfect, but our children deserve our best effort,” Whitman said. House Bill 5 would turn the department into its own agency outside of the Texas Health and Human Services Commission. Rep. James Frank, R-Wichita Falls, the bill's sponsor, said the goal is to give the agency more autonomy to make decisions faster. "We assign all of the blame to DFPS, but we only give them a fraction of the decision-making authority,” Frank said. Former DFPS Commissioner John Specia testified during the hearing that HB 5 would “create a more responsive, agile and functioning" agency to help children more efficiently. "The commissioner has to have a structure that supports quick decision making,” Specia said. Frank’s House Bill 6, which would give community nonprofits a bigger role in providing child welfare services and overseeing case management, saw praise and criticism from several testifiers. Brandon Logan, director of the Center for Families and Children at the Texas Public Policy Foundation, said he supports HB 6 because the state needs to move away from doing case management on its own. He said the state takes too much of a “cookie-cutter” approach for vulnerable children instead of creating individual plans of action for care and services. “The model of statewide case management is a broken idea and wrongheaded philosophy,” Logan said. Some child welfare advocates pushed back on the legislation asking legislators to provide for the creation of an online portal to track where children have been and making sure DFPS officials will be able to have oversight of cases if any legal issues arise. And faith-based groups testified that while they are keen to help, they want legislators to write in liability protections to shield them from potential lawsuits — especially when exercising their religious liberties, such as not wanting to drive a young woman in their care to an appointment for an abortion. Committee members said they would consider looking into writing protections. At the end of the hearing, the committee approved HB 4 and HB 5 but took no action on HB 6. Taking in grandchildren can keep them out of the state's foster care system, but Texas often doesn't help grandparents who step up to do it.